It takes an experienced specialist to provide the eye care your child needs. Todd Murdock, MD, has the necessary expertise to correct your child’s vision and address issues such as misaligned eyes (strabismus). Dr. Murdock is part of the stellar team at Rocky Mountain Eye Center and sees pediatric patients at their Helena, Montana, location. Call the Helena office today for an appointment or book your child’s visit online. Vision continues to develop in the brain until your child is about 9 years old, and problems with eyesight can affect that development. During a pediatric eye exam, Dr. Murdock can identify an issue and provide treatment that helps prevent permanently reduced vision. Amblyopia, for instance, is a common pediatric condition that refers to poorly developed vision in one eye. Amblyopia may be caused by excessive farsightedness, a droopy eyelid, or other condition that interferes with normal use of the eye. Correcting the problem early can restore visual development. Visual acuity is also integral to your child’s social, physical, and cognitive development. A pediatric eye exam can pinpoint refractive errors, such as nearsightedness, that prevent your child from seeing a ball tossed their way or identifying letters on the board at the front of the classroom. What Eye Conditions Affect Children? Children can also develop cataracts and other eye conditions often considered as adult-only issues, including glaucoma or increased pressure inside the eyeball that may lead to permanent vision loss if not treated. How are Pediatric Eye Conditions Treated? Treatment for pediatric eye conditions varies and often depends on the issue, your child’s age, and the severity of the condition. Strabismus, for instance, may be treated with patching, glasses, eye exercises, or surgery to repair the affected muscles. After completing a thorough exam, Dr. Murdock will discuss his recommendations in detail and give you ample time to ask questions. 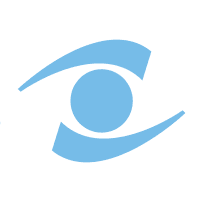 You can trust Dr. Murdock’s expertise as a top-rated pediatric eye specialist to provide the most effective treatment available for all of your child’s eye care needs. Call today to schedule a visit or book an appointment online at Rocky Mountain Eye Center in Helena, Montana.